I’m pulling as hard as I can! This robin was out to get breakfast, but the worm had other ideas. 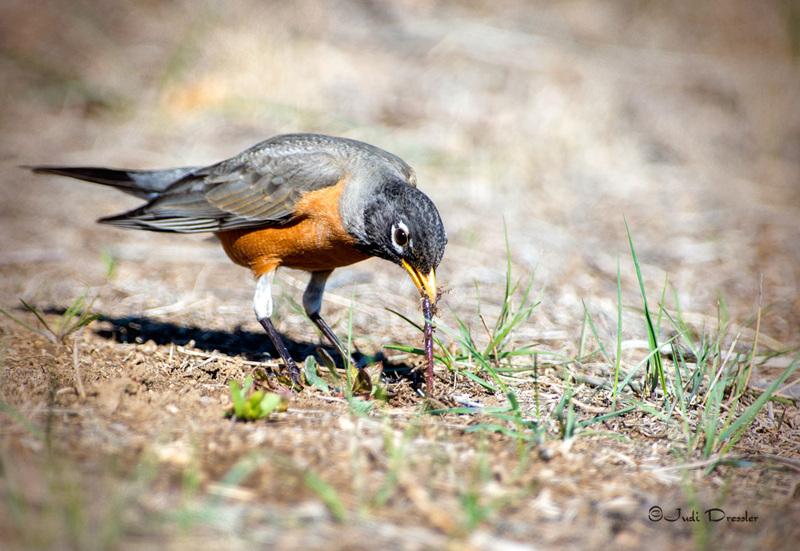 It took quite a while — after much pulling, the robin took a break before he went back at it and was finally rewarded with a long worm. Even worms do not want to get eaten… who does? We all want to live!